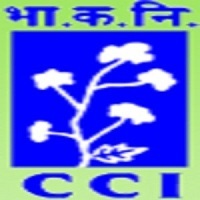 Cotton Corporation of India Recruitment 2018 – CCI (Cotton Corporation of India Ltd) scheduled walk-in-interview for posts of Field Assistants & Clerks (Accounts/General) on Temporary basis. The detailed eligibility criteria and application process are given in below. Field Assistant: Science Graduate or any other equivalent degree (science background up to HSC level is must) from any recognized University with knowledge of computer. Office Clerk (A/c): B.Com from a recognized university with knowledge of computer. Office Clerk (General): The candidate should be a graduate from a recognized university with knowledge of computer. Physically Handicapped for 10 years (15 years for SC/ST, 13 years for OBC). How to apply Cotton Corporation of India Recruitment 2018? All interested and eligible candidates can send duly filled application form along with required documents to the following postal address on or before 17 November 2018 and attend walk-in-interview at the following venue address on 17 November 2018. Caste Certificate issued by Empowered Authority & PH certificate (if applicable).